Youth First strengthens youth and families through evidence-based programs that prevent substance abuse, promote healthy behaviors, and maximize student success. Youth First, Inc. exists to transform and strengthen the lives of young people and their families. We embed specially trained and closely supervised Master’s level social workers (MSW’s) in schools and provide evidence-based prevention programs for youth, families, and communities. Our free-of-charge behavioral health services and programs prevent substance abuse, improve family relationships, and develop essential life skills. Using a blend of funding streams, Youth First provides a systematic, accountable, and sustainable model of prevention that saves lives and money. Founded by addiction medicine specialist and family physician Dr. William Wooten in 1998, Youth First, Inc. (YF) exists to transform and strengthen the lives of young people and their families. YF has developed an evidence-based model of substance abuse prevention and behavioral health services to support healthy youth development in Southwest Indiana. YF employs masters-level social workers to provide programs and services for youth and families. These social workers are embedded in schools and adhere to YF’s systematic, accountable approach to prevention and early intervention. They become specialized mentors to at-risk students and serve as valuable resources for teachers, staff, parents, and other community organizations. As an outside agency working inside schools, YF overcomes many barriers to delivering behavioral health support. YF social workers are easy to access, just down the hall, and available to all students, families, and faculty free-of-charge. In addition, YF’s approach removes much of the stigma associated with seeking assistance. Parents and children who are worried about confidentiality may be more willing to open up to a social worker provided by an independent organization like YF rather than a school employee. YF’s model also addresses the oft-cited parental concern that school social workers lack clinical expertise. YF provides its social workers with extensive training and ongoing clinical supervision along with a toolkit of evidence-based programs and practices. YF prides itself on delivering comprehensive and consistent prevention strategies across a region. Because it covers six counties and partners with 11 school systems, YF can follow at-risk students who often move from school to school and county to county. YF’s systematic regional approach also allows for a better understanding of the overall impact, cost efficiencies, and opportunities for improvement. In order to ensure flexibility alongside fidelity, YF social workers assess school-level needs and individual student needs. Then they work with educators to identify students who would benefit from individual support, small group interventions, or skill-building programs. YF social workers develop a service plan for each student, make referrals to community resources, consult with parents and teachers, facilitate evidence-based programs, deliver educational presentations, respond to crises as needed, and collect data along the way. To ensure outcomes, YF turns to its program committee for guidance. The committee is made up of educators, past program participants, healthcare providers, and people from the business sector, some of whom also serve on the YF’s Board of Directors. The committee reviews evaluations, troubleshoots challenges, considers needs, and recommends enhancements or changes. YF’s approach requires close partnerships with schools seeking solutions for the social, emotional, and behavioral needs of students. School administrators welcome YF social workers in their buildings and provide cost-sharing support, because they see the positive impact on students along with the measurable results provided by an independent evaluator. YF contracts with an independent evaluator, Dr. Dan Diehl, whose doctoral work focused on the evaluation of school social work. Diehl Consulting Group looks at changes in four major criteria for the students served by YF social workers: 1) risk and protective factors, 2) individual concerns, 3) school adjustment, and 4) problem behaviors. Teachers, parents, students, and social workers are all involved in the data collection in order to understand the impact of services and guide improvements. YF also tracks reasons for referrals, matriculation rates, graduation rates, and the number of graduating seniors with college or career plans. In addition, YF counts outputs like the number of parent consultations, resource referrals, individual sessions, group sessions, teacher/staff consultations, and crisis interventions. YF has grown through a mix of funding streams. Fifty percent of its support comes from private donors; 25% comes from schools; and 25% comes from state and federal government grants. 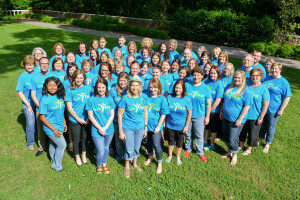 YF’s Board of Directors teams with the organization’s professional staff to build fundraising capacity and generate the revenue to support the mission. Their advocacy is largely responsible for YF’s ability to continue implementing evidence-based prevention programs and expanding its reach to more schools and communities in Indiana.